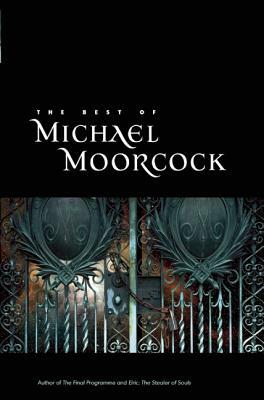 Michael Moorcock: Legendary author of the Elric saga, Science Fiction Grand Master, platinum album-receiving rock star, and controversial editor of the new wave fiction movement's New Worlds. In this definitive collection, discover the incomparable stories of one of our most important contemporary writers. These exceptional stories range effortlessly from the genre tales that continue to define fantasy to the author's critically acclaimed mainstream works. Classic offerings include the Nebula Award-winning novella "Behold the Man," which introduces a time traveler and unlikely messiah that H.G. Wells never imagined; "The Visible Men," a recent tale of the ambiguous and androgynous secret agent Jerry Cornelius; the trilogy "My Experiences in the Third World War," where a Russian agent in an alternate Cambodia is powerless to prevent an inevitable march toward nuclear disaster; and "A Portrait in Ivory," a Melibone story of troubled anti-hero Elric and his soul-stealing sword, Stormbringer. Newer work handpicked by an expert editing team includes one previously unpublished story and three uncollected stories. Michael Moorcock is among the most influential British authors of fantasy, science fiction, and mainstream literature. His many novels include the Elric series, the Cornelius Quartet, Gloriana, Mother London, and King of the City. Moorcock has received the Nebula, World Fantasy, and British Science Fiction awards and is a Grand Master of the Science Fiction and Fantasy Writers of America. As editor of the science-fiction magazine New Worlds, Moorcock was one of the progenitors of the experimental and controversial new-wave literary science-fiction movement. His nonfiction has appeared in many UK outlets, including the Guardian, Daily Telegraph, and New Statesman. A member of the progressive rock band Hawkwind, Moorcock received a platinum disc for the album Warrior on the Edge of Time.